HSBC CEBU OPENING. The HSBC executives, from left, Bruce Peoples, head of distribution management Phils. ; Betty Miao, head of Retail Banking & Wealth Management International Asia Pacific; Graham FitzGerald, HSBC Phil. president and chief executive officer; Nigel Burbidge, chief operating officer RBWM Phils. ; Debbie Realiza, Retail branch head-Cebu; Claro Fernandez, head of communications Phils; and Michael Brennan, head of wholesale banking Phils. SUGBUSOG OPENING. 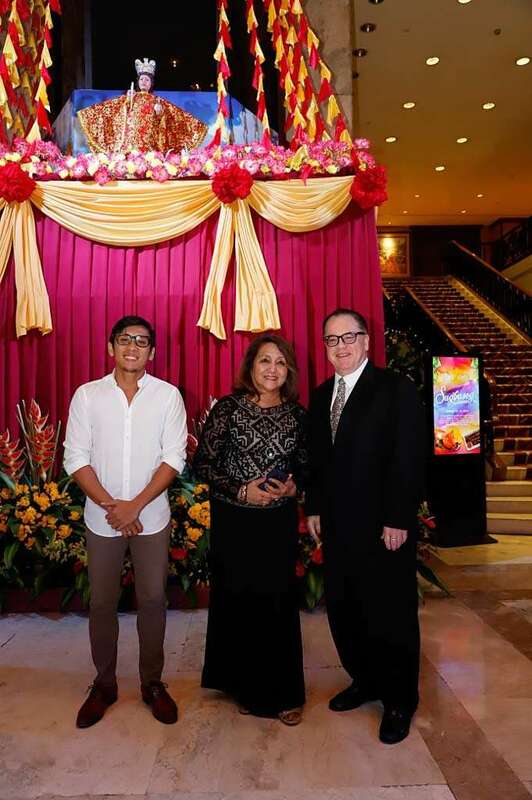 At the Marco Polo Plaza Cebu lobby, general manager Brian Connelly (right) with photo expert Robo Formacion and antique collector Josie Peyrera. CTTA OFFICERS. The newly inducted officers of the Cebu Tours and Travel Association (CTTA), from left, Marilou Ordoñez of Delmar Travel, Aida Uy of Cebu Fortune Travel, Gwen Po of Pan Pacific Travel, Joan Young of Wanderlanes, CTTA president Angelita Dy of Grand Hope Travel, Alan Carvajal of Travelways, Sheila Colmenares of Leisure Travel, Fairlie Uy of Royal Prince Travel, Cherrypie Callelero of Grand Holidays, Cookie Chan of Southwind Travel, Zenaida Chua of Worldwide Travel and Chen Men Hwang, managing director, Retail Travel Channels-Southeast Asia of Amadeus. 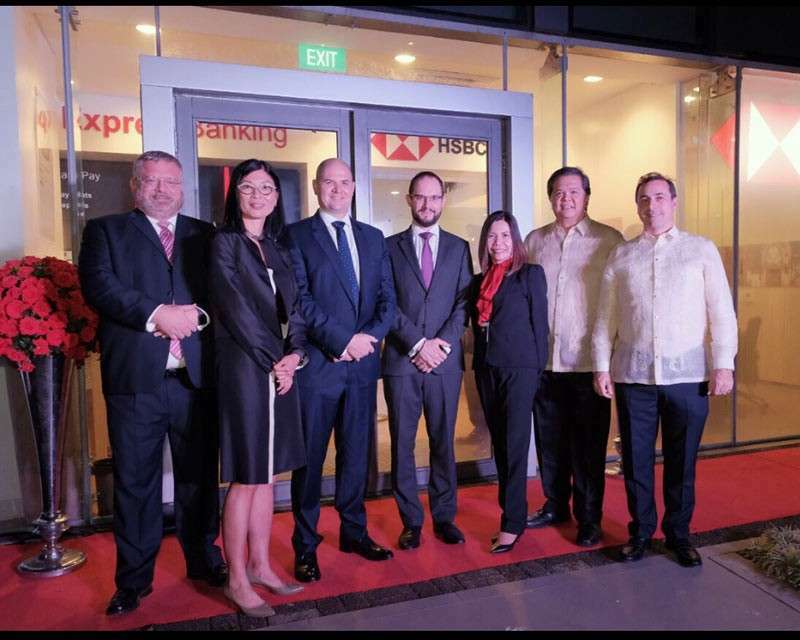 A RED-LETTER happening in town was the inauguration of the new HSBC Cebu branch on the ground floor of Philamlife Center Cebu Building at Cebu Business Park. In town for the occasion were Graham FitzGerald, HSBC Phil. president and chief executive officer; Betty Miao, head of Retail Banking and Wealth Management (RBWM) International Asia Pacific; and Nigel Burbidge, chief operating officer, RBWM Phils. On top of the inaugural preparations was Debbie Realiza, Retail branch head-Cebu. The other officers in attendance included Claro Fernandez, head of communications Phils; Bruce Peoples, head of distribution management Phils. and Michael Brennan, head of wholesale banking Phils. “Sugbusog Gihapon” was another big success in the list of Marco Polo Plaza’s Culinary Journeys. The array of Cebuano and other Filipino favorites at Cafe Marco brought in a lot of the Sinulog crowd who couldn’t have enough of native food. 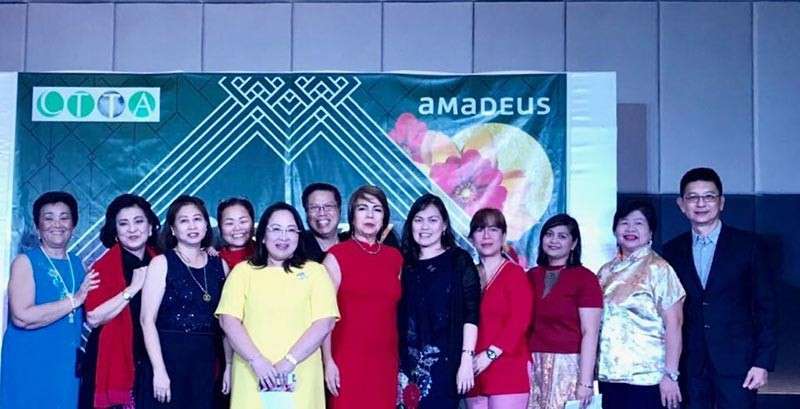 Coming up on Feb. 15 to 17 is the Cebu Travel Catalogue International 2019, a travel show under the auspices of the Cebu Travel and Tours Association (CTTA)—this year headed by its president Angelita Dy of Grand Hope Travel—and the Cebu Association of Tour Operators Specialists (Catos) under the helm of prexy Alice Queblatin of Southwind Travel. Venue is Ayala Center Cebu. The annual travel fair will showcase, promote and sell various travel products of the CTTA and Catos members and industry partners like airlines, hotels, resorts, international tourism bureaus, Philippine tourism offices and provincial government offices. Dubbed Cebu’s biggest travel event, the three-day happening will feature discounts for local and international destinations as well as tour packages.